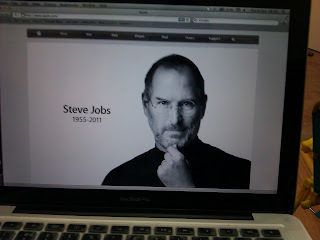 Like everyone in the UK i woke up to the news of tragic death of Steve Jobs the Apple co-founder, i was not going to write a blog post on the topic, but there was something that prompted me to write one. I got the news not from my tv but my macbook pro! 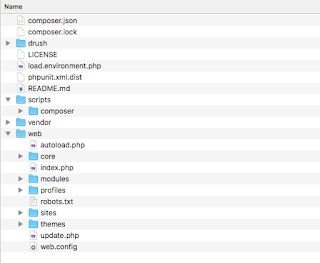 I switched on my macbook, fired up a new tab in safari, and there it was, very simple, very sober 'Steve Jobs' 1955-2011. A real tribute to the design genius he was. I am sure there will be a new person at the helm of things at Apple, Apple may continue to grow in leaps and bounds or may just fizzle out - but you can't take that away from Steve, the way he came back to Apple when things weren't going very well - brought the iMac which was a run away success, followed up with other fantastic products we all love and cherish. The most important thing was he got Apple to believe they were not in the business to shift boxes but deliver what the customer expects, stuff that just works.